Susan Ee's post-apocalyptic horror hits the ground running. Penryn is trying to survive and protect her crippled little sister, Paige, in a modern America that angels have destroyed. When a group of angels start a fight in front of her, Penryn intervenes and helps one of them out, only to see the rival angels abduct her sister. The loser, an angel called Raffe who has had his wings torn off, is her only hope of finding Paige. Raffe is gravely injured and recovering slowly, and for a while Penryn takes care of him. But he's the enemy, and her motive for helping him is to get him to give her information. They're on opposite sides in a war that humanity is losing badly, and at first they distrust each other intensely. But they share a common destination, more or less. Together they face street gangs, food shortages, and the hazards of a lawless world. They also have to deal with Penryn's insane mother, who is off her medication and who sees things that nobody else can. Penryn's world is unconventional. These angels don't actually clash with the Biblical accounts of angels, but they do contrast with popular images of them as benign and loving guardians. Their powers could be magical, but they also have a great deal of technological knowledge. I wanted to know whether they would turn out to be aliens with an accomplished propaganda department, rather than pure supernatural creatures. The love story runs along slightly more expected lines than the world building, but that's not to say the plot twists are predictable. This is a very action-oriented novel, and it involves a dash of politics on both the angel and human sides. There are some gruesome scenes and bizarre abominations, so horror balances out the novel's sweeter elements. I enjoyed the dry humour in the main characters' banter, especially that coming from Raffe. Penryn is a fighter who is supremely loyal to those she cares about, and I warmed to her immediately. 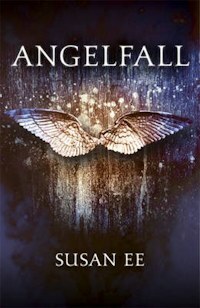 The ending of Angelfall left some things unresolved, although not to the extent that it felt unfinished. It definitely left me wanting to read more of the series. This is a tightly-written, finger-lickingly moreish novel. 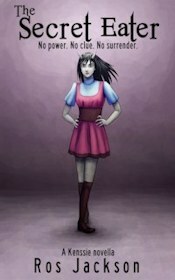 Alice gets caught up in a world of warring angels in this urban fantasy novel.